A diagnosis of kidney disease can be overwhelming. 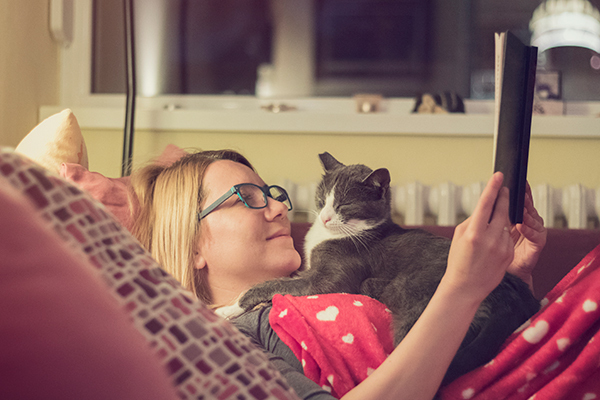 Here are basics about your cat's illness and treatment, and how to find support. If your vet just told you that your cat has chronic kidney disease (formerly called chronic renal failure, or CRF), you might feel like you’ve been hit by a bus. You imagine all the possible complications. 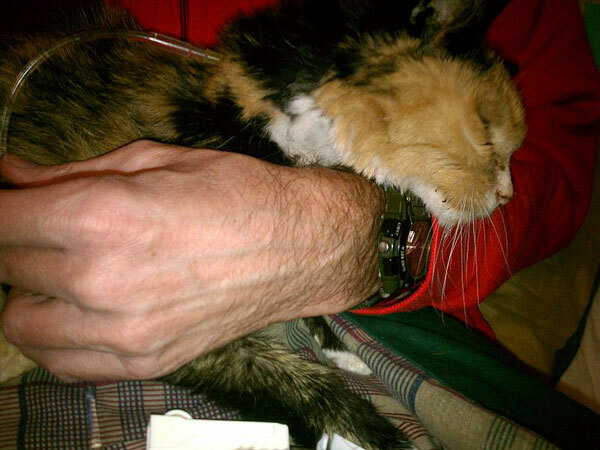 The treatment might seem worse than the illness; you shudder at the potential cost; and most of all, you wonder whether it’s even humane to treat your cat instead of providing palliative care. 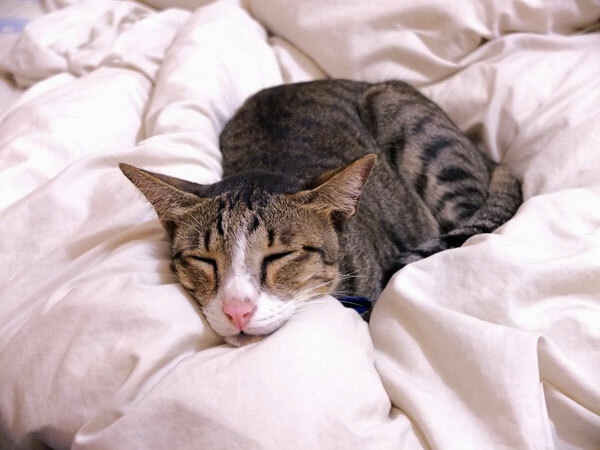 After reading this article, I hope you feel less overwhelmed regarding your cat’s health and more in control of the illness and its treatment. The job of the kidneys is to remove toxins from the blood. Those toxins are mixed with water and excreted from the body as urine. The kidneys also release a hormone called erythropoietin, which controls the production of red blood cells. Chronic kidney disease occurs when those toxin-filtering nephrons are damaged, either through tumors, scar tissue, or genetic illnesses such as polycystic kidney disease. 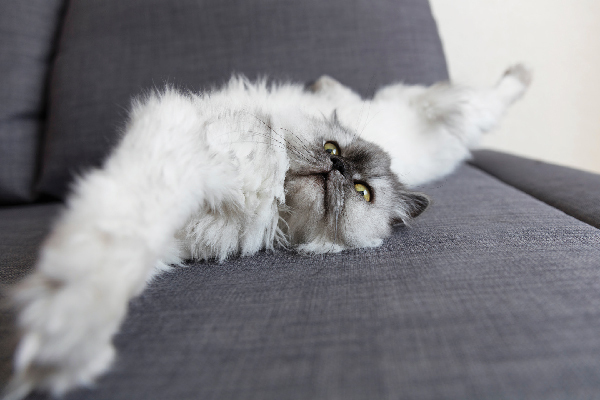 Most cats with chronic kidney disease are middle aged or older, and some vets estimate that one in five cats have some level of kidney failure by the time they reach age 15. 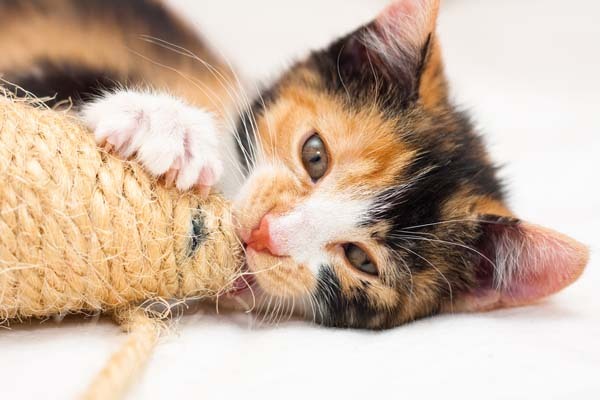 Between a cat’s instinctive tendency to hide illness and the slow onset of the disease, your cat won’t show any symptoms until she’s lost two thirds to three quarters of her kidney function. A cat with only a third to a quarter of her kidney function left drinks and pees like crazy. The kidneys respond to excess toxin buildup in the blood by producing more urine, but because the kidneys aren’t filtering toxins well, all that urination doesn’t help much. The peeing leads to excessive thirst because your cat gets dehydrated. Other symptoms include lethargy, nausea, vomiting, weight loss, constipation, and decreased appetite. If your vet suspects kidney disease, he will recommend a blood test and urine test. The blood test measures how many red and white blood cells your cat has and the levels of certain chemicals, while the urine test measures how efficiently your cat’s urine is removing toxins. A cat with kidney disease will be anemic because the damaged kidneys don’t produce enough of the erythropoietin that I mentioned above. Two chemicals, urea and creatinine, are high in the blood of cats with kidney disease. Because the kidneys aren’t working well, your cat will need to drink more water. 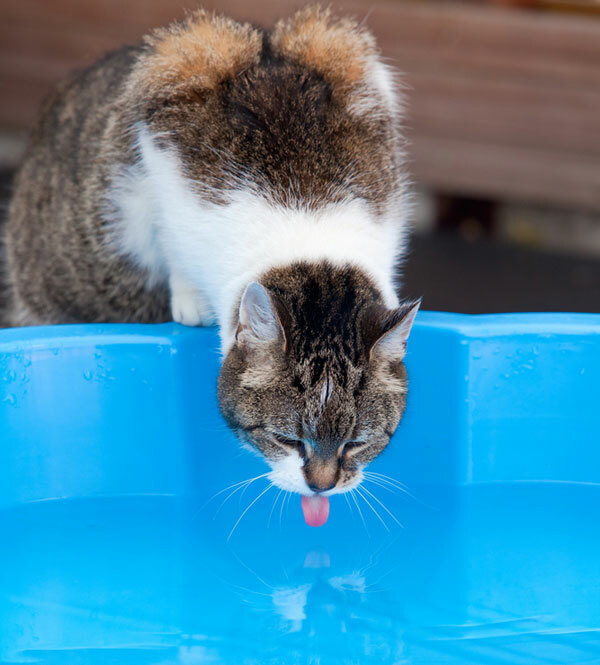 Make liquids more tempting by using a pet fountain, feeding canned food rather than kibble, and adding some water to that canned food to make a tasty "gravy." Cats with more advanced disease are treated with subcutaneous fluids, sterile liquid administered under the skin with a needle. 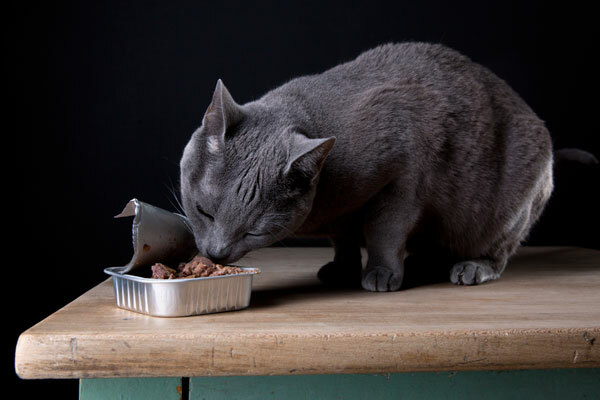 Prescription diets exist to support cats with kidney disease by managing symptoms such as excessive protein buildup and dehydration. However, some vets believe that these prescription diets might be exactly the opposite of what a cat with kidney disease needs. There’s a lot of passionate debate on both sides of this issue, and the best thing you can do is to educate yourself on the options and work closely with your vet. Cats with anemia might get iron supplements, steroids, or even erythropoietin. Other drugs might be prescribed to manage nausea, electrolyte levels, high blood pressure, or excessive fluid buildup in the body’s tissues. You can consult with a veterinary specialist to determine whether a kidney transplant is appropriate for your cat. Your cat will receive one kidney from a healthy cat, usually a shelter cat whom you will adopt after the procedure. Only a few hospitals perform kidney transplants, and there is a strict screening protocol. 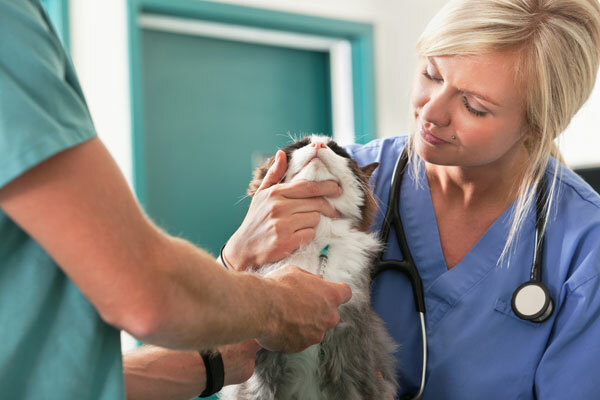 If you can afford the expense (the surgery runs between $12,000 and $16,000 at the University of Pennsylvania’s veterinary hospital) and you don’t mind keeping your cat on immunosuppressive drugs for the rest of her life, this could be a solution. 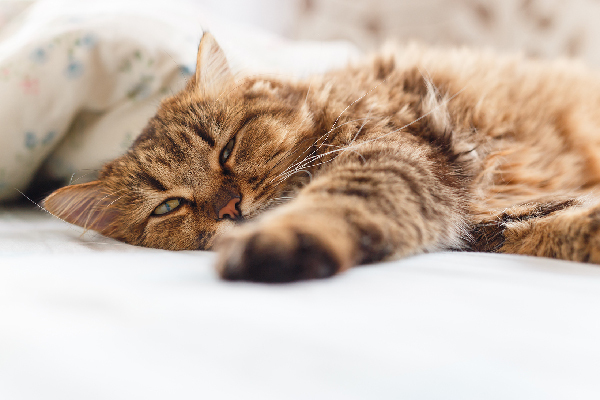 If your cat is diagnosed with chronic kidney disease, don’t despair: There’s a lot of great information and support available, and your cat can have a good quality of life in spite of her illness. For more details about kidney disease, I’d encourage you to watch this five-part video series from Cornell University’s Feline Health Center. FelineCRF.org is the definitive source for kidney disease information and support from a lay person’s perspective. Do you have a cat with kidney disease? What treatments is he or she getting? Has your cat had a kidney transplant? Are you a member of a Catster group for CRF cats? Please share your thoughts, information, and support in the comments. About JaneA Kelley: Punk-rock cat mom, science nerd, animal shelter volunteer, and all-around geek with a passion for bad puns, intelligent conversation, and role-play adventure games. She gratefully and gracefully accepts her status as chief cat slave for her family of feline bloggers, who have been writing their cat advice blog, Paws and Effect, since 2003. JaneA dreams of making a great living out of her love for cats.